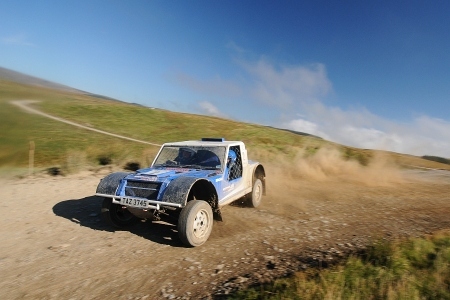 The battle for the Britpart MSA British Cross Country Championship will continue next weekend as the crews return to the Brynfynnon venue near Porth in South Wales for round 5. The current championship leader Ian Rochelle took his first ever BCCC win when the series visited the same venue for round 2. Since then Rochelle finished third at round 3 before taking another win at round 4 in Radnor to head the leaderboard on 309 points. He also won the Ray Kempster Memorial Hill Rally in August. Bob Seaman lies in second place going into round 5 on 268 points after three top-ten finishes in his Milner R5 with Gordon Monaghan just four points behind in third. Bamber Bridge’s Dan Lofthouse is presently in sixth place but with the championship allowing one score to be dropped he is in a good position to challenge for the title with a win and two second place finishes in the last three events. Lofthouse recently contested the Rallye des Cimes in the south of France where he won his class in his Freelander. The action will kick of at 10.00am on Saturday 17 September with Sunday’s competition starting at 9.00am. Spectators are welcome at the venue, it is expected that the landowner will make a charge for car parking of £5. Please follow the arrows from Llanwonno to get to the site.